Date: created September 2-20, 2014, dismantled September, 2018. Description: Internationally-renowned sculptor Patrick Dougherty weaves large-scale architectural forms from saplings, sticks, twigs, and other natural materials. There are no nails, glues, or other fasteners used in the construction of this sculpture. Over the last 30 years, the artist has built more than 230 of these works in public spaces worldwide. 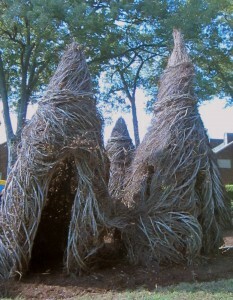 Dougherty relies on groups of volunteers to assist him with gathering natural materials relevant to the local landscape and with constructing his unique sculptural environments. This sculpture will remain on site for two years. 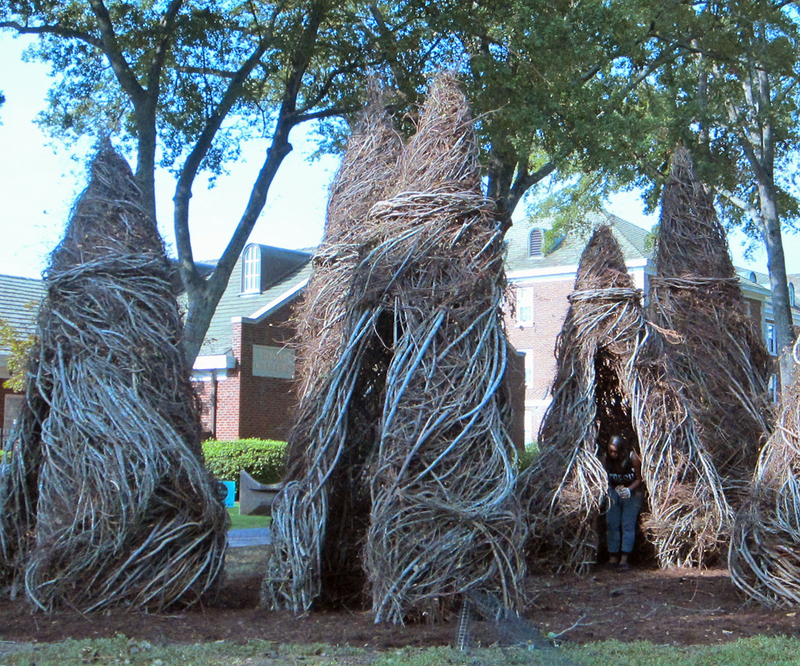 Location: Formerly located near the entrance to the Baum Gallery, Between McCastlain Hall and McAlister Hall.